Welcome to Boson’s online customer support! We’ve provided some answers to common support questions below. If you do not see the answer to your question on this page, please open a support ticket in your Boson account so that we can assist you further. To log into your Boson account, please click Log In at the top of the page, then My Account, then Support Tickets. We will respond to your support ticket as soon as possible. Customer service is available Monday – Friday from 9:00 a.m. until 5:30 p.m. Eastern US time, excluding major holidays. I need an activation key. Where can I get one? If you have not done so already, you will need to purchase an activation key. Otherwise, you can locate your activation key by logging in to your Boson Online Account. Can you send me NetSim on a CD-ROM? NetSim is only available for download from our website. Boson NetSim is the only simulator that can carry you from CCENT or CCNA through your CCNP certification. You can read about NetSim versions by clicking here. Do you have a solution for lab or classroom settings? Yes, we currently have two NetSim License Server edition options for NetSim—one for Boson NetSim for CCNA and one for Boson NetSim for CCNP—in addition to regular single-user licenses. We have designed these license options especially for academic, organizational, and corporate clients. The License Server editions of NetSim are only available via download from the Boson website. The NetSim License server edition has options for lab-only access as well as a solution that allows students to use the software in the lab and at home. Each end user will need his or her own license, however, as we do not sell multi-user, seat, site or workstation licenses or any other type of license that can be shared. If you would like to inquire about licenses for training employees or students, please see the Volume Solutions page of the Boson website. Does Boson offer a simulator for CCNA Voice or CCVP? Boson does not currently offer a NetSim product specifically designed for these certifications. Yes, Boson does offer discounts, called Special Offers, on certain products based on your product purchase or activation history on our site. To find your Special Offer, please log in to your Boson account on our site, then click My Account, then Special Offers. Do you charge shipping fees? The majority of our software products are only available via download from our website. There is nothing to ship for these orders and therefore no shipping fees. We do sell some audio products on CD, and a shipping charge is assessed on these orders. If you are purchasing a product on CD, you will be able to select the shipping option of your choice during the checkout process. Are the prices on your website shown in United States dollars? Yes, the prices listed on our website are shown in United States dollars. No returns or exchanges will be accepted or refunds granted for products purchased and delivered electronically once an activation key has been entered, except under the terms and conditions of Boson's No Pass, No Pay ExSim-Max Guarantee. If the product activation key has not been entered, the customer has thirty (30) days from the date of purchase to return the product for refund. All sales are final thirty (30) days from date of purchase. If the ExSim or ExSim-Max product was discounted or part of a kit, the refund will be prorated to reflect the actual purchase price of the product. If you are not satisfied with your NetSim purchase, you may return or exchange the purchased product within the first forty-eight (48) hours (the "Grace Period") after the product activation key has been entered, provided the activation occurred within thirty (30) days from the date of purchase. No returns or exchanges will be accepted or refunds granted following the initial forty-eight (48) hours from product activation. The Grace Period is not applicable to manual offline activations provided by Boson due to customer’s lack of internet access. What are my payment options on your website? Boson accepts MasterCard, Visa, American Express, Discover, JCB and Diners Club credit cards for online purchases. PayPal payments are also accepted with a service fee of $0.30 plus 2.9% of the transaction total amount. Boson accepts PayPal payments from verified PayPal accounts only. If you complete your purchase online using an approved credit card or PayPal account, you should receive your receipt, download link(s), and activation key(s) within minutes from noreply@boson.com. If you do not receive the e-mail in your inbox, please check your junk mail folder for this message. Boson processes orders paid by money order as soon as the funds are received. Processing of orders paid by corporate or personal check may be held for five (5) business days to allow the funds to clear your bank. Purchase orders are accepted from educational institutions and organizations only with Net 30 Day terms and at Boson’s discretion. Wire transfer payments will be accepted; however, we will not place your order until we have received the funds from your bank. There is a $30.00 fee for using wire transfer. If you wish to pay via wire transfer, please notify us at support@boson.com so that we may provide wire transfer instructions. I purchased a product from the Boson website and would like to find my receipt. How can I do that? You can view your purchase history on our site by logging in to your Boson account, clicking My Account, and then clicking Purchase History. If you purchased a product from Cisco Press or McGraw-Hill, you will not be able to view these purchases in your Boson account, as they cannot be bought or sold on the Boson website. Can my company or school be invoiced for our order? Boson will gladly invoice academic, organizational, or corporate customers within the U.S., provided they submit a purchase order. All international orders must be paid for at the time of purchase. You can make payment via credit card (by using an offline card form), and we will place the order for you when we have the card information. You can also pay via wire transfer, but we will not place the order until we have received the funds. There is a $30.00 fee to pay using wire transfer. My organization is tax exempt. Can we place an order online? If you are outside the states of Tennessee and Florida, our website will not charge sales tax on your order. If you are a tax-exempt entity in one of the two states listed above, please call us at 877-333-EXAM (3926), and we’ll be glad to assist you with these orders. You will need to fax a copy of your tax exemption form to Sales at 615-889-0122. Sales tax is only assessed for orders placed by customers in Tennessee and Florida. What are the Minimum System Requirements for NetSim 12? What are the Minimum System Requirements for NetSim 10? Error Message: "Could not register BosonNetsimInterop.dll"
This error means that NetSim has detected that the file BosonNetsimInterop.dll is not registered and NetSim was unable to register the file itself. Normally, this file is registered automatically at install time or when NetSim is first run on your system. To resolve the issue, try right-clicking the NetSim shortcut and running the program "As Administrator". Shut down any Boson applications and/or error windows. Download our Registry Assembly Tool. Run the tool (right-click and select Run as Administrator). Then select the .NET version 2.0 from the drop-down list. Click the Unregister Interop Assembly button, and then click the Register Interop Assembly button. Right-click the shortcut to start NetSim, and click Run as Administrator. If the issue persists, please submit a support ticket with as many details as you can about the problem you are experiencing. Error Message 1609 or Error Message 1332 was received during installation. If you receive the either of the following error messages during installation, you should perform the steps listed in the solution below. Error 1609: An error occurred while applying security settings. User is not a valid user or group. This could be a problem with the package, or a problem connecting to a domain controller on the network. Check your network connection and click Retry, or Cancel to end the install." Error 1332: "Unable to locate the user's SID, system error 1332". Create a new user called CREATOR OWNER (see below). Create a new group called Users (see below). Select Run from the Windows Start menu. 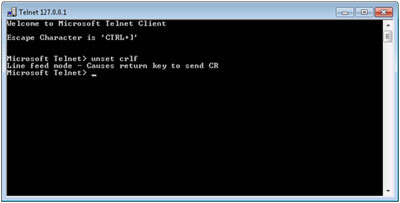 Type cmd in the Open text box, press the Enter key to start the command interpreter interface, type net localgroup Users /add , and then type net user "CREATOR OWNER" /add. Click retry in the dialog box to allow the installation to continue, or restart the installation if it has been canceled. Note: The created user and group do not need any permissions applied to them. The installer applies permissions correctly by using the SID for the CREATOR OWNER user and for the Users group. Once the installer is completed, you can remove the user and group. The local group and the user should be entered exactly as shown in the steps (we recommend copying and pasting). If the steps do not work, we recommend making a screenshot or copying the text that shows the entries you made to create the correct local group and user and e-mail the screenshot to support@boson.com. Error Message: "Update server unavailable"
Ensure that a physical connection exists to the Internet and that the connection has not been disconnected. Ensure that nothing is preventing NetSim from accessing the Internet, such as a firewall, antivirus software, or a proxy server. If neither of these options resolves the problem, please log in to your Boson account and create a support ticket so that we can assist you further. Error Message: "Update server offline"
What features are available in the demo version of NetSim? The NetSim demo is a fully functional version of NetSim that has a limited command set. The purpose of the NetSim demo is to allow you to evaluate the applications included in the NetSim suite and how they interact with each other. We have also included a single lab that gives you the opportunity to issue a number of commands to get a better feel for the application. You can download a demo of NetSim from the Boson downloads page of the Boson website. How often do you release software updates? Boson does not have a set interval for releasing updates. Software updates are released only when significant changes are made to NetSim. For example, resolution of a major bug or the addition of new features would prompt a software update.